Lovebirds Peter Strzok and Lisa Page were top FBI agents involved in spying on the Trump Campaign and Transition Team in an effort to link the campaign to the Putin government. The pair exchanged 50,000 text messages including a hit on rural Virginia voters. 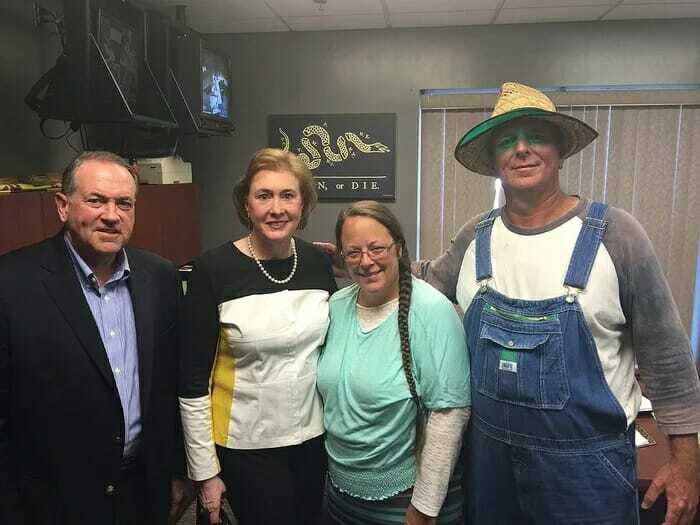 Strzok and Page also mocked Kentucky hillbillies. In the messages released on Monday the lovebirds also mocked rural Kentuckians. Text message: Did you see the pics of the guy who accompanied the KY country clerk who wouldn’t issue gay marriage licenses when she was released from jail? Total caraciture (sp) of what you’d expect. The elitist lovebirds misspelled “caricature” in their message. Here is the photo they were talking about. They hate them some rural Americans.